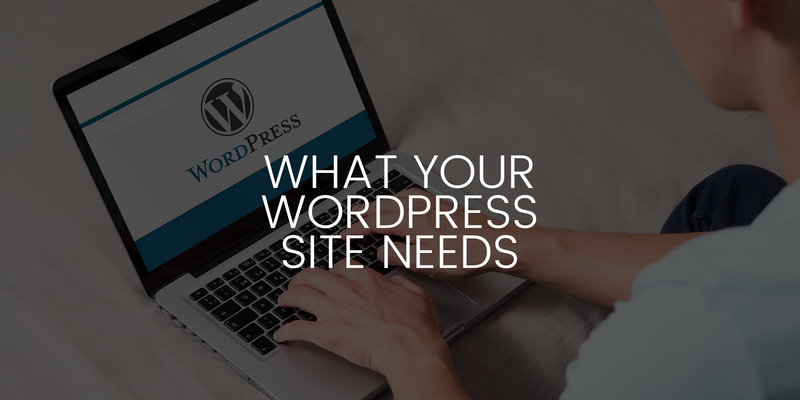 WordPress is the largest and most popular Content Management System for the 7th year in a row and you might be wondering what your WordPress site needs to stand up to the competition. Crosby Interactive has been providing custom web development and web design for almost 20 years and we are here to help you decide what your WordPress site needs. WordPress is constantly growing and improving and there are a plethora of plugins and custom functionality that are at your fingertips, but not every feature WordPress has to offer will be for your company. Let’s delve into some necessary aspects your WordPress site needs, as well as some optional wow-factor elements. The first thing a user sees on your website will be the header image. This is a terrific opportunity to showcase breathtaking product images, custom graphics and branding or a company promo video. Never underestimate the power of video on your WordPress website as this effective form of marketing is what your WordPress site needs to set you above the competition. Video marketing is a powerful tool that is gaining momentum online. Crosby Interactive offers video marketing packages to showcase your company to potential or existing customers. Video marketing in the form of a company promo or explainer video on your website is our #1 wow-factor that you should include in your WordPress site. This effective tool can grab your user’s interest and increase your conversion rate. 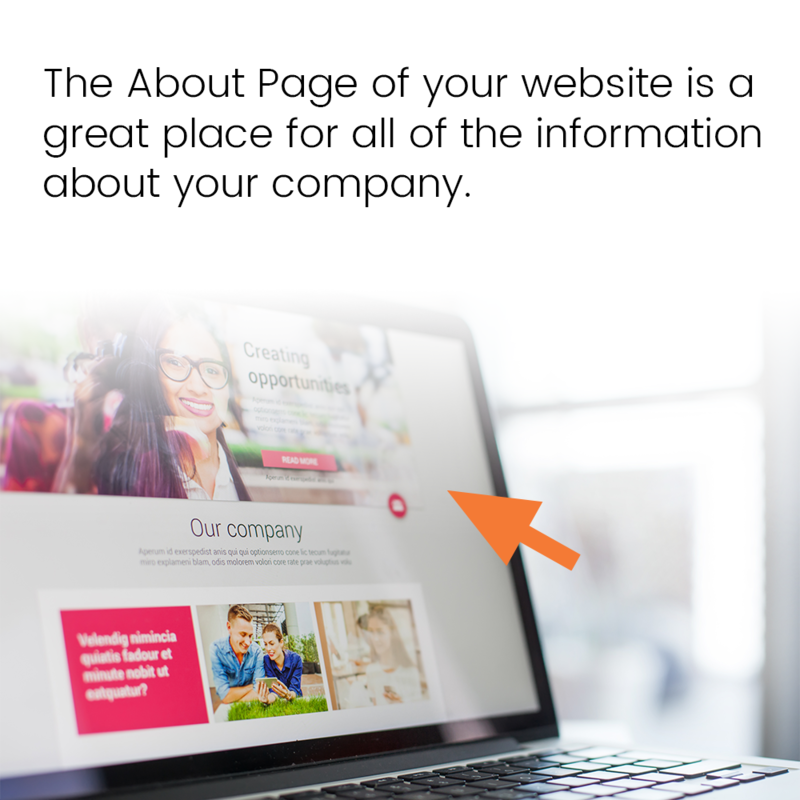 Next on the list of what your WordPress site needs is an About Page. Clients want to see who they’re hiring and the more information that you can give a potential client the better. Let them see your company culture! Anything from team profiles to a retail or office space, this adds a personal element to your WordPress website and it gives your clients a look into your business. Some of this content may call for a separate page, but if you don’t have a ton of information, your About Page may be the perfect spot for this content. One of the excellent features of WordPress is the ability for eCommerce functionality. If you’re selling products, we recommend showcasing and selling those products on your website. Having an eCommerce WordPress website is an easy way to expand your market and increase sales. Listing the services your business offers is excellent for your SEO, this will bring more traffic to your website and, with a professionally built WordPress website, you can increase your conversion rate. Potential customers are coming to your website to see what your business has to offer, providing a clear definition of the services you offer will educate your user and provide you with more serious leads. Next on our list of what your WordPress site needs are testimonials. If you have great reviews on Facebook, Google or any other social site, use them to your advantage! 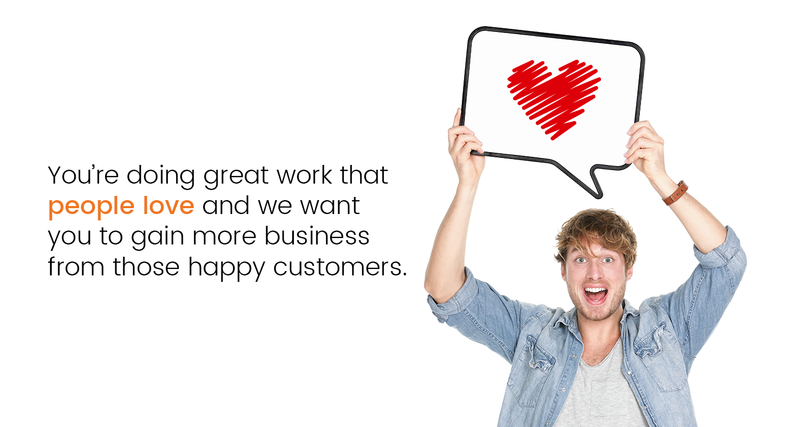 You’re doing great work that people love and we want you to gain more business from those happy customers. Adding a slider of testimonials is visually engaging and it shows your potential client that you’re awesome at what you do. Don’t have many testimonials? That’s fine, we can use the ones you have as well as help you collect more reviews from current and past clients. Testimonials are a great way to show that you are a reputable company doing great work. Last but not least, your WordPress site needs a contact page. We want to make it mind-blowingly easy for a user on your website to contact you and that starts with a contact page. On your contact page we can highlight all your contact information as well as your hours of operation, a map and a contact form. This is also a suitable place to add a blurb about your company or the next steps your customer can expect. Providing contact information is vital to convert your website traffic into tangible leads. Need Help Building Your WordPress Website? At Crosby Interactive, we love to help our clients succeed. If you’re interested in building or redesigning your WordPress website, we would love to setup a free consultation to discuss your website needs. Our team of WordPress experts are ready to start on your project and achieve your vision for your brand with an easy-to-use, responsive WordPress website. Get Started on Your WordPress Site Today!